Color: The color of garnet is definitely the most important quality factor to look for. While the most common color in garnet is red, it is also available in an assortment of colors, including yellow, orange, peach, green, red, purple, brown and pink. It can also be found in a shade of blue, though is very rare. Clarity: Garnet possesses a glassy luster. Though they are generally very eye-clean stones, almandine garnets sometimes have asbestos fiber inclusions. These inclusions cause a star-like effect called asterism, which is very rare. Some orange garnet, like spessartite and hessonite, often displays eye-visible inclusions. Andradite garnet is known for its unique, horsetail-like inclusions. 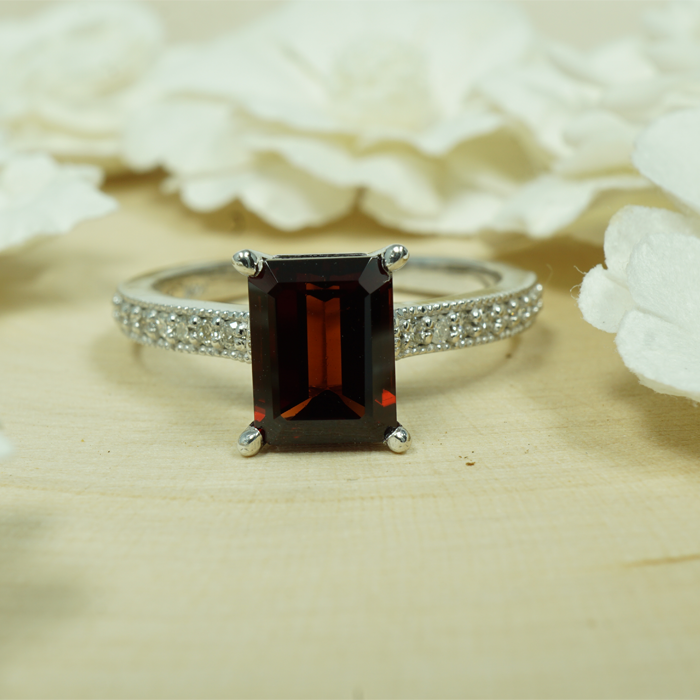 Cut: Garnet gemstones can be cut in a variety of styles and shapes. Red garnet is usually cut in standard shapes, while more valuable variations, like tsavorite garnet and demantoid garnet, are generally cut more into shapes that hold the most carat weight. Common cuts include cabochon, cushion, oval and round. Carat: Garnet stones are formed and shaped in many sizes. A couple types of garnet, including demantoid and tsavorite, tend to be larger in size, which makes them much more valuable than others. Almadine garnet stones are very common in bigger sizes, so you should not see any sudden increase in value with increased size.